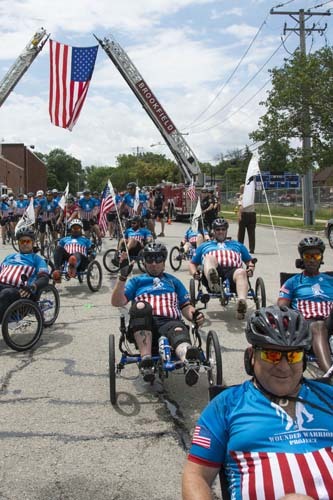 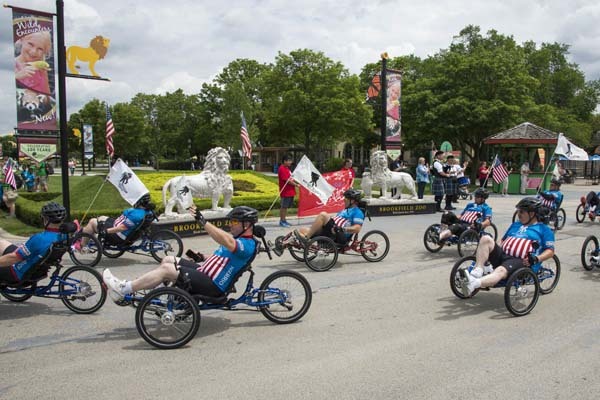 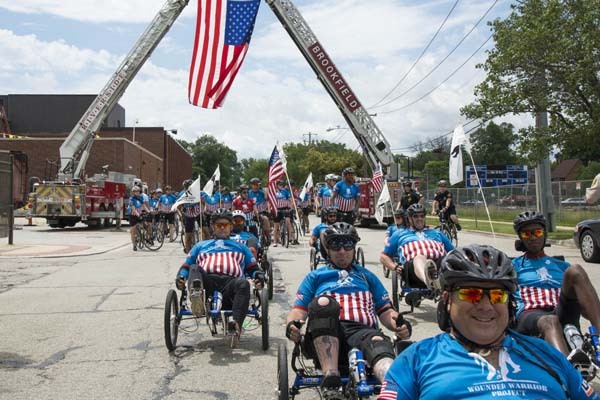 BROOKFIELD, Ill. (WLS) -- Veterans participating in the Wounded Warrior Project Soldier Ride were welcomed at Brookfield Zoo's south entrance on June 25, 2015. 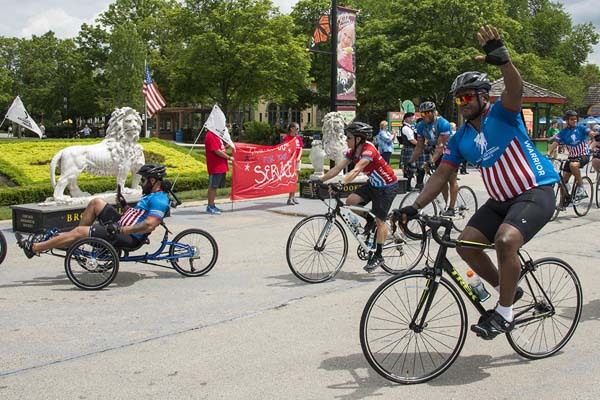 The Wounded Warrior Project Soldier Ride, presented by USAA, brings together veterans for a long weekend of cycling, healing and camaraderie. 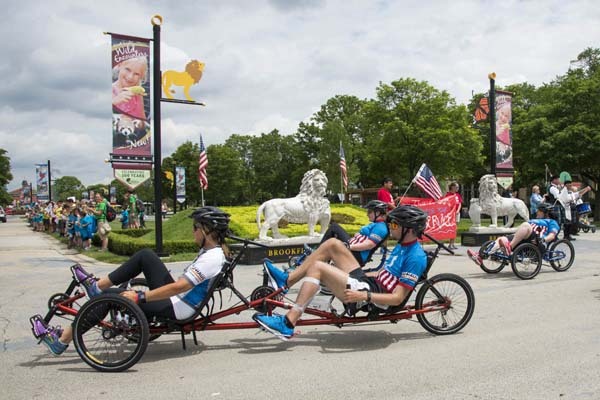 On Thursday, they rode 17 miles to Brookfield Zoo. 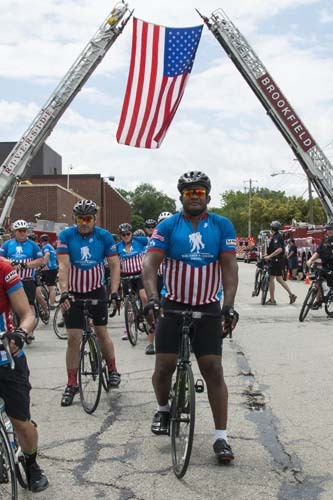 On Friday, the group will ride 17 miles from the Rosemont Firehouse to the baseball field, where they'll play softball with local police and firefighters. 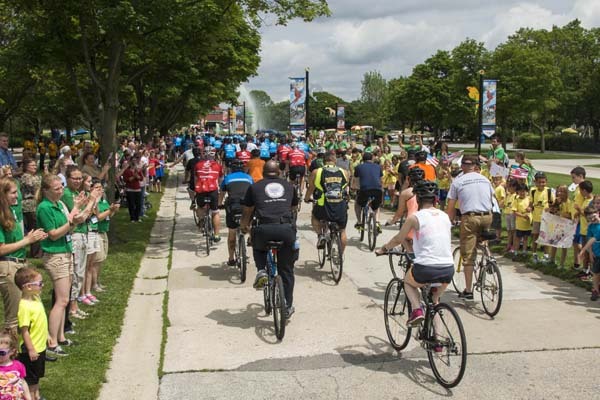 On Saturday, the group will ride 25 miles from Chicago's Soldier Field to Highland Park.